A better user experience- By simplifying navigation and streamlining your content, site visitors will be able to find what they want much more quickly. That improves conversion rates, which leads to the second improvement. Measurable ROI for your site-Businesses have treated advertising like a sunk cost because nobody was able to track how effective it was compared to word of mouth and referral traffic. With website analytics, you can see where your money is going and how much your changes impact revenue. Stronger market position -Brand reputation is measured by how well known you are and how people feel about your company . Making customers feel welcome on your site, and making it easy for them to find what they need, improves your reputation and social mentions across the web. More targeted traffic -Bounces don’t help anyone. When someone clicks on your site and clicks away, neither you nor the user gets what they want. 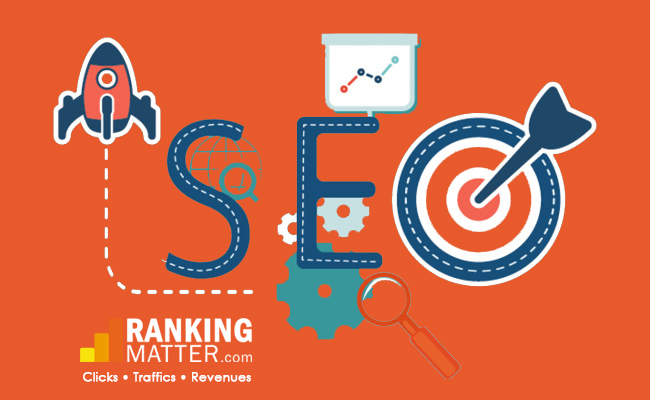 SEO Consists of on-page and off-page elements. You need to use both simultaneously to help your strategy reach its full potential. Structural elements of your site, such as the way its pages link to each other, can affect SEO, Search engines “crawl” through this link structure to find and index pages. You need to structure your site so that all off its pages would be easy to index by search engine crawlers. Creating a clear website structure will not only make your website more accessible for search engines, but most of all, more Friendly to the end users. Search engines love original content, just much as people do. By saying original content, we mean what is unique and can not be found anywhere else on the web. Filling your site with regularly updated content, including text, images and videos, is one of the best ways to improve SEO. 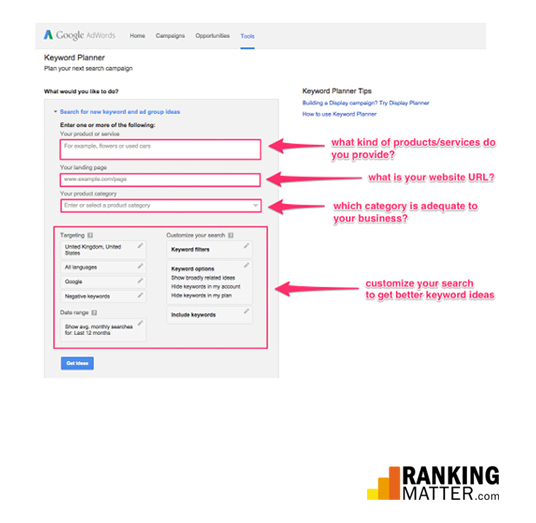 One useful tool for picking the right keywords is Google Keyword Planner. The tool helps answer the question “what are people looking for?” The Keyword Tool is only available with an AdWords account however, you can use it for free. Once you set up your account, put in your domain name and type in the products or services that you offer. Doing this will allow you to see keyword suggestions for your business. According to Google’s guidelines, websites that are rich in useful information tend to rank higher. Google and Bing recommend filling sites with quality content, rather than ads or affiliate links. Content creation is always a time-consuming task, nevertheless, optimized content provides SEO results that are invaluable and long-term. In this chapter, we will give you tips about content creation and promotion. We will show you how to plan the content on your website and also how to make it both user and SEO-friendly. Content planning is the process of answering some questions during the design of a marketing campaign. What kind of content could possibly engage your visitors? SEO is considered to be a long-term strategy, and so should your content. It is good practice to prepare a regular publishing schedule so you can engage your audience for a longer period of time. Link exchange schemes used to be a popular way of building links. Webmasters would publish links to other sites in exchange for links to their own site. Recent Google algorithm updates penalize these kinds of link schemes. Buying links although buying links can give you immediate results. 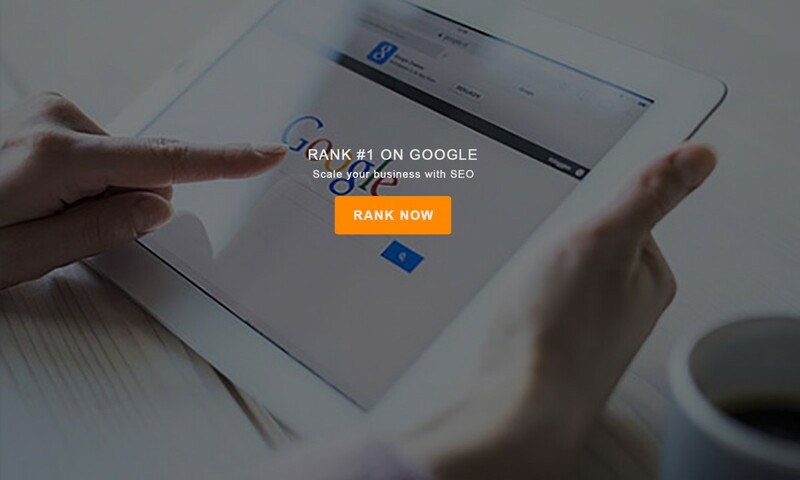 It can also quickly get your website penalized and wiped out from SERPs. Commenting-on blogs and forums with a link to one’s own site(and not much else in the way of content) is spammy and can harm SEO. particularly if the place Where the link is being dropped is totally irrelevant to the topic of the linked site. Article directories allow site owners to publish articles which include a link back to their site. However, most article directories have been hit hard by Google algorithm updates, which means that they no longer provide high-quality links. Links provided by these kinds of schemes are generally low-quality and will not improve your SEO. They could even damage it Rather than taking a get-rich-quick approach to link building, you need to put in consistent effort over the long term. Below the graph, you can also take a quick glimpse of the average rankings of your keywords as well as any keyword changes. The data is updated daily. This is the why behind your SEO strategy. All search optimization has or at least it should have – clear, definable goals that can be measured. When these goals are accomplished, this is called a “conversion”. Also, a conversion doesn’t always have to mean a monetary transaction. In many cases, a conversion is something as simple as a newsletter subscription or a document download. In any case, your site conversions can and should be tracked for example, with Google Analytics. This is the why behind your SEO strategy. All search optimization has or at least it should have - clear, definable goals that can be measured. When these goals are accomplished, this is called a "conversion". Also, a conversion doesn't always have to mean a monetary transaction. In many cases, a conversion is something as simple as a newsletter subscription or a document download. In any case, your site conversions can and should be tracked for example, with Google Analytics.